My name is Manlio, I'm writing from Italy and....I'm sorry for my bad english. I have a Colido DIY 3D printer (Hobbyking) and use Repetier Host. 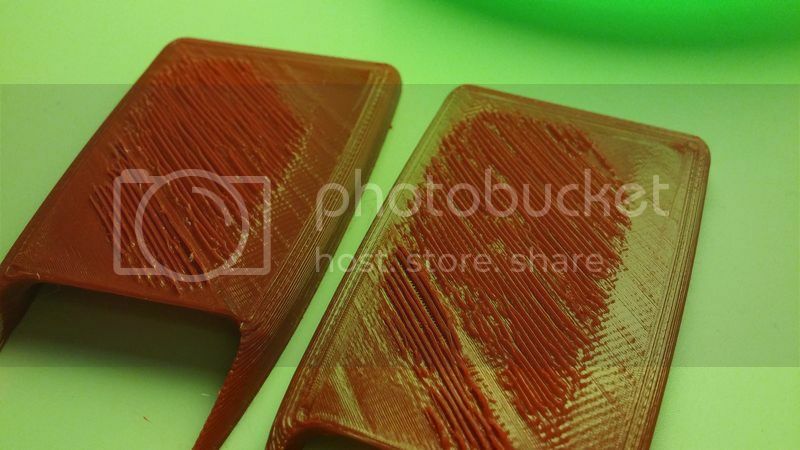 In many cases have encountered this big problem: while printing the last top layer, the printer generates big roughs on the surface, how You can see in the attached image. I've tried to print the same object with simplify3D and...no roughs!!! Strange picture. Never have seen such things happen. Your infill looks pretty dense, so could it be that your extrusion multiplier for the filament is set too high? If so it produces more then 100% infill and goes higher then planned and maybe would look like this.